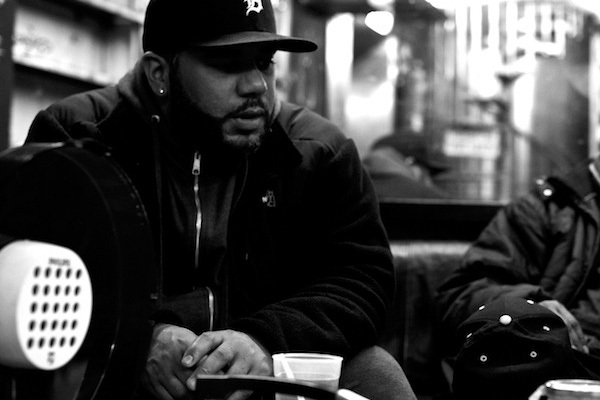 On April, 29th producer Apollo Brown, by way of Mello Music Group, brought to the world his instrumental album Thirty Eight. The tracks offered a backdrop to the raw and grimy Detroit soundscape. As a member of the Ugly Heroes crew we got a glimpse into the genius of his work. On this new album we get a full helping of it. When listening to it, I couldn’t help but imagine different emcees spitting bars over the beats. They had to be just as grimy. They had to bring lyrical fire. Well, I did not have to wait long for that dream to be answered. Apollo enlists Roc Marciano to step in and body the “Lonely & Cold” beat. With “God Save the King” Copywrite delivers another brutally honest record that reaches for new creative heights with all of the crazy punch lines, deep metaphors, true wordsmithing and all of the technical razzle dazzle anyone could ever ask for. “Rap albums sound like love letters” P!!!! !